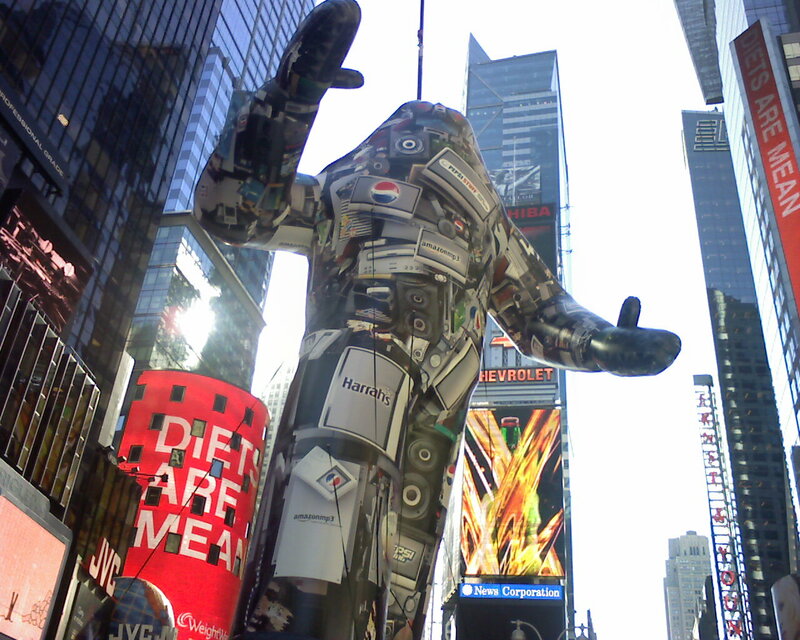 Flickr user brandongerena captured a few pictures of the Pepsi Monster which made its debut in Times Square yesterday to promote the brand's music giveaway on Amazon MP3 which will offer 3.25 million DRM-free songs for download. The monster's now traveling to Phoenix where it will say hello to those in and around the University of Phoenix stadium. See images here, here and here.